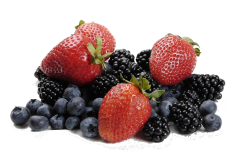 Berries have a low glycemic index which is a value assigned to foods. It’s based on how slowly or quickly the food increases blood sugar levels. It’s the soluble fiber in berries that makes the difference. Fiber can slow down the absorption of sugar into the blood. 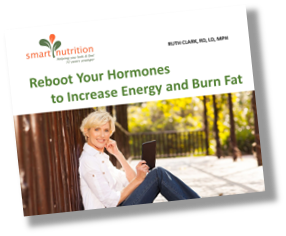 This leads to much better blood sugar control. As a result, foods with a low glycemic index help you to feel full longer and help to control your appetite better. Being overweight is a major risk factor for diabetes. Most fruits and veggies have a low glycemic index but berries have the lowest when it comes to fruit. You can have a larger portion of berries than most other fruits and still control your carbohydrate and calorie intake. For example, 1 and ¼ cups of strawberries has the same carbohydrate content as a ½ cup of peaches. According to a recent study in the Annals of Neurology, it was found that women who ate 2 servings of strawberries or one serving of blueberries every week, experienced less mental decline than peers who did not. Those with the highest intakes postponed cognitive decline by two and a half years. It is believed that anthocyanidins, a kind of flavonoid, are responsible. Anthocyanidins are common plant pigments with a powerful punch when it comes to nutrition. They are primarily known for their antioxidant properties but are also known to cross the blood brain barrier and locate in learning and memory centers of the brain. Feeling satisfied with the food you are eating is a major objective of any eating plan aimed at helping you lose weight. For reasons described above, berries help with blood sugar control and appetite. In addition, fiber and water content of berries help us to feel full. Sweet, delicious berries can also help us cope with sugar cravings. Again, it’s the anthocyanidins. They reduce blood pressure and work as an anti-inflammatory inside our blood vessels. In a study published in the American Journal of Clinical Nutrition, eating about 1 cup of mixed berries every day for 8 weeks is associated with higher “good” HDL levels and lower blood pressure. Of all the foods studied, berries show the most promise in fighting cancer. Blueberries are chock full of antioxidants. Cancer cell growth in test tubes under laboratory conditions are reduced by these compounds. All berries, but particularly strawberries and raspberries, are rich in ellagic acid. In laboratory studies, this phytochemical has shown the ability to prevent cancers of the skin, bladder, lung, esophagus and breast. Research suggests that ellagic acid seems to utilize several different cancer-fighting methods at once: it acts as an antioxidant, it helps the body deactivate specific carcinogens and it helps slow the reproduction of cancer cells. It’s easy to add berries to your diet. Try them in your smoothie in the morning or sprinkle some on your cereal. They are a great addition to a salad or a snack and really the best choice for dessert. If you would like some more adventurous ideas on how to capitalize on this season’s berry harvest, go here.